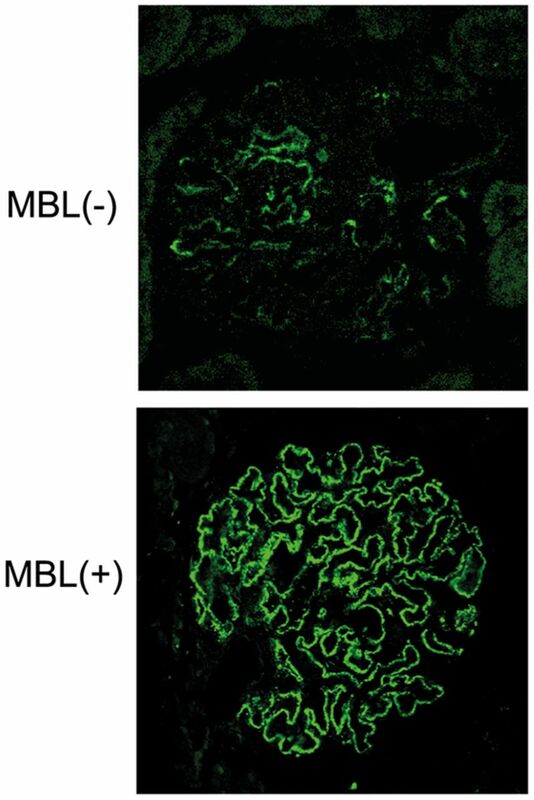 The pathway of complement activation in idiopathic membranous nephropathy (IMN) has not been confirmed. Here, Bally et al. report a case series of 77 patients with IMN in which analysis of glomerular immune deposits in the index patient revealed the presence of phospholipase A2 receptor and activation of the alternative pathway of complement. Genotyping identified polymorphisms in the mannan binding lectin gene (MBL2) in this patient and in four additional patients with similar immune deposit composition. In contrast, both the lectin and alternative pathways appeared to be activated in patients with wild-type MBL2. These findings advance our understanding of the pathogenic pathways in IMN. See Bally et al., pages 3539–3544. The effects of CD28-selective blockade as a maintenance therapy after kidney transplant have not been directly compared in a preclinical model with those of belatacept, a CD80-86 antagonist that improves long-term graft function but associates with a high incidence of acute rejection (AR). Here, Ville et al. report that, after receiving a kidney allograft, baboons treated with belatacept develop steroid-resistant AR, whereas those treated with the CD28-specific antibody FR104 develop steroid-responsive AR. Better control of T follicular helper cells with FR104 may in part underlie these differential effects. 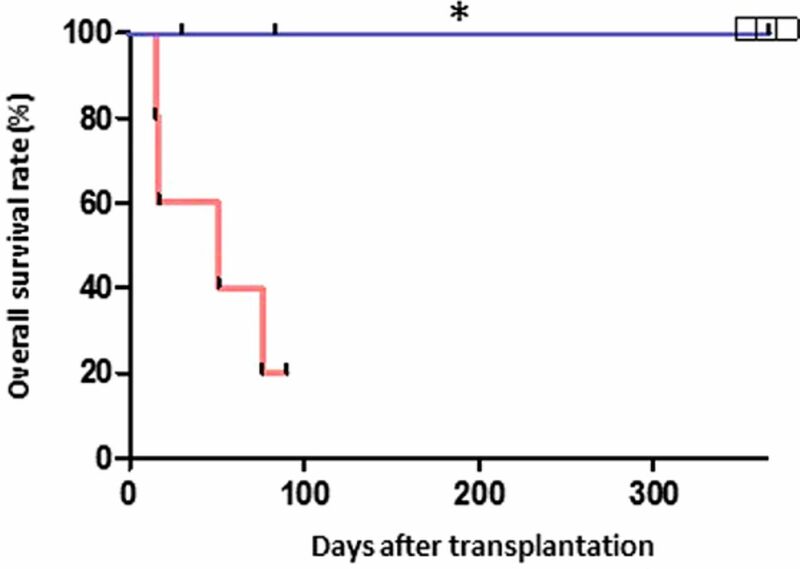 These findings highlight the clinical potential of CD28-selective agents for maintenance therapy in kidney transplantation. See Ville et al., pages 3577–3588. Zebrafish with mutations in the ADP ribosylation factor-like GTPase 13B gene (arl13b) develop cystic kidneys, but patients with Joubert syndrome linked to mutations in ARL13B do not. To further investigate the role of this gene in the mammalian kidney, Li et al. generated a conditional, kidney-specific Arl13b-knockout mouse model. 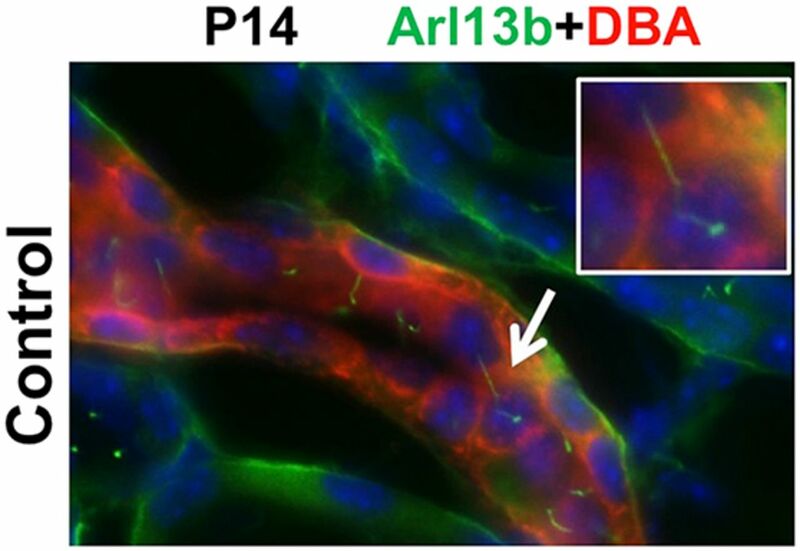 Perinatal deletion of Arl13b in the distal nephron results in defective cilia biogenesis, kidney cyst formation, and renal failure, indicating the conserved function of this gene. Additional zebrafish studies suggest that ARL13B mutations found in Joubert syndrome are hypomorphic, which may account for the lack of a cystic kidney phenotype in patients. See Li et al., pages 3628–3638. 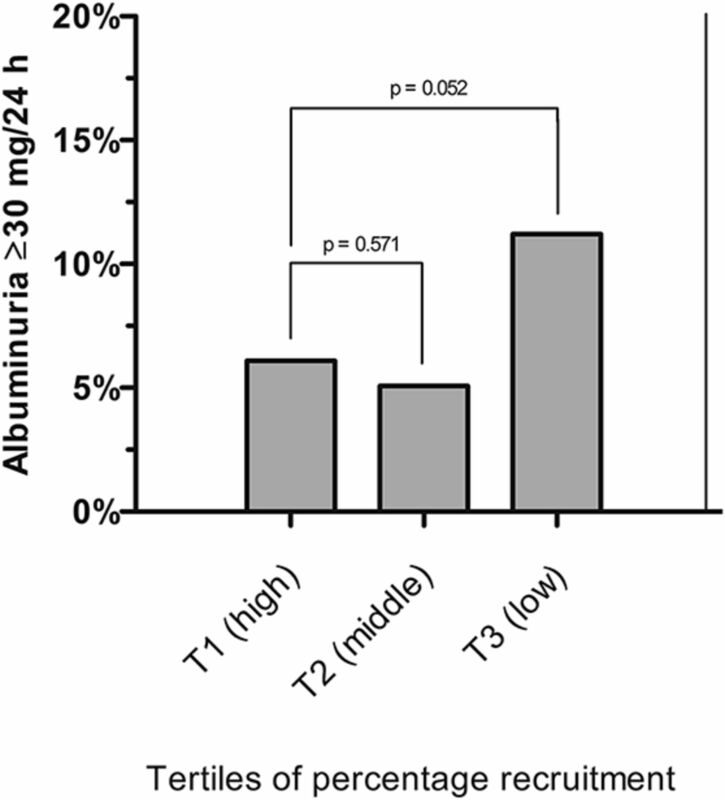 Indirect evidence suggests an association between glomerular capillary rarefaction and albuminuria. Here, Martens et al. evaluated this potential association in a cross-sectional study, using skin capillaroscopy to noninvasively assess capillary density after arterial occlusion or during venous occlusion in 741 participants. Multivariable logistic regression analyses revealed an association between low capillary density and albuminuria, regardless of type 2 diabetes status. Although additional studies are needed to assess causality, these findings support the involvement of capillary rarefaction in the development of albuminuria. See Martens et al., pages 3748–3757. The association between residual kidney function (RKF) and survival in patients on hemodialysis is not well understood. Here, Obi et al. evaluated this association in a cohort of 6538 adult incident dialysis patients. In addition to identifying predictors of annual decline in RKF, the authors found an association between greater renal urea clearance rates after 1 year of hemodialysis and increased survival. Moreover, faster annual decline in renal urea clearance rate corresponded with all-cause mortality. Future studies are needed to determine the clinical benefits of strategies for RKF preservation. See Obi et al., pages 3758–3768. Patients on hemodialysis gain improvements in measures of exercise capacity after exercise training or anemia treatment, but for unknown reasons, exercise capacity is not fully restored. Stray-Gundersen et al. conducted a crossover study in 27 patients with ESRD and found that the combination of hematocrit normalization and intradialytic exercise training leads to clinically relevant increases in peak power and oxygen uptake, but peak arteriovenous oxygen differences remain lower than those in healthy sedentary controls. Abnormalities found in muscle biopsy specimens may contribute to the limitations in oxygen transport and failure to normalize exercise capacity in these patients. See Stray-Gundersen et al., pages 3769–3779.